Google is no longer the only search engine with a digital assistant under its belt. Baidu, which operates the most popular search engine in China and recently acquired smart home startup Raven, was on hand at CES to showcase the forthcoming Raven H and establish itself as yet another player in the crowded field of digital assistants. Much like the Amazon Echo and like-minded Google Home, the Raven H is a voice-activated speaker that’s built upon an artificial intelligence platform (in this case, DuerOS). The stylish, colorful device is the result of Swedish engineering, and makes use of a detachable LED touchscreen that flips up and lets you to control all aspects of your smart home. Once connected to your home network, the tower-like device can hail a cab, turn on your lights, read the news, and play music via several high-end audio components that come courtesy of Tymphany. The Raven H isn’t the only product to capitalize on Baidu’s A.I. platform, even if it is the first. At CES, the Beijing-based dotcom also introduced the Raven R, a delightful robot with six moveable joints that can respond based on user commands, enabling what Baidu calls a range of “emotions.” It’s basically Pixar’s Luxo Jr., only it utilizes the aforementioned Raven H for a head instead of a traditional light bulb. The playful design and standard capabilities of the Raven H and Raven R are only part of the equation. Whereas Amazon and Google continue to dominant the U.S. market when it comes to smart speakers, neither company has managed to gain a strong foothold in the eastern markets. This especially applies to the latter company, which remains blocked in China. Baidu hopes that since its A.I. platform is tailored toward a predominantly Chinese audience first and foremost, it will have more domestic appeal. And because both Raven devices will be operating on their home turf, they’ll have an easier time tapping into regional services. 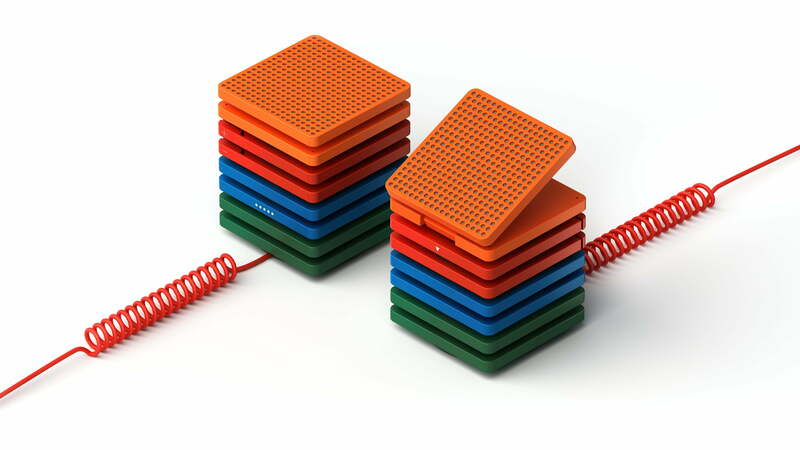 Home field advantage aside, it remains to be seen whether Baidu can compete with the likes of Amazon, Google, or the wealth of companies that are currently outfitting their smart speakers with either Alexa or Google Assistant. Either way, we’ll find out when the Raven H hits U.S. shelves at an undisclosed price later this year.